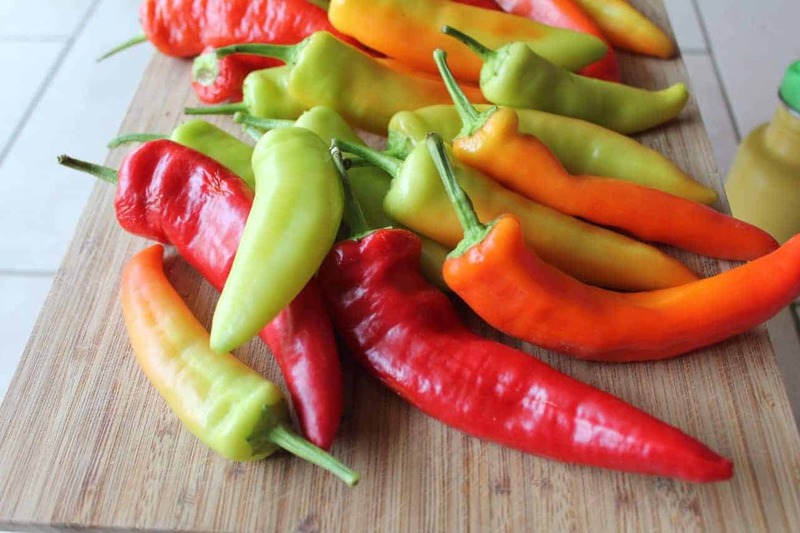 Our banana pepper plants are one of the most prolific peppers in our garden. Growing peppers successfully has a lot to do with choosing the right pepper varieties for your growing zone. This is especially true of hot peppers in a shorter growing season, and it helps to add hoop houses or grow them in a greenhouse. We had an awkward amount for canning hot banana pepper rings though as it was too much work to bring out the canner for a few jars, so I began to look into other ways of preserving hot peppers. The hardest part was cutting them up (make sure you wear gloves!). 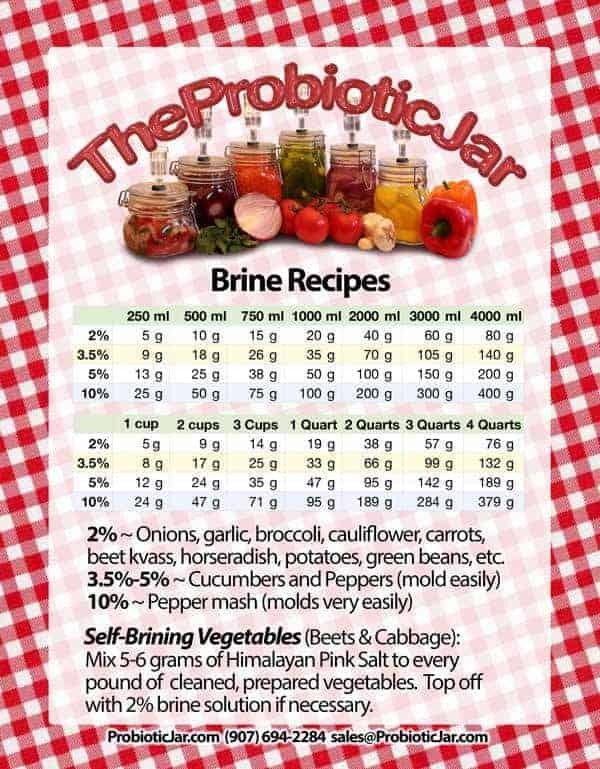 All you have to do is make a brine and use the right fermenting equipment. 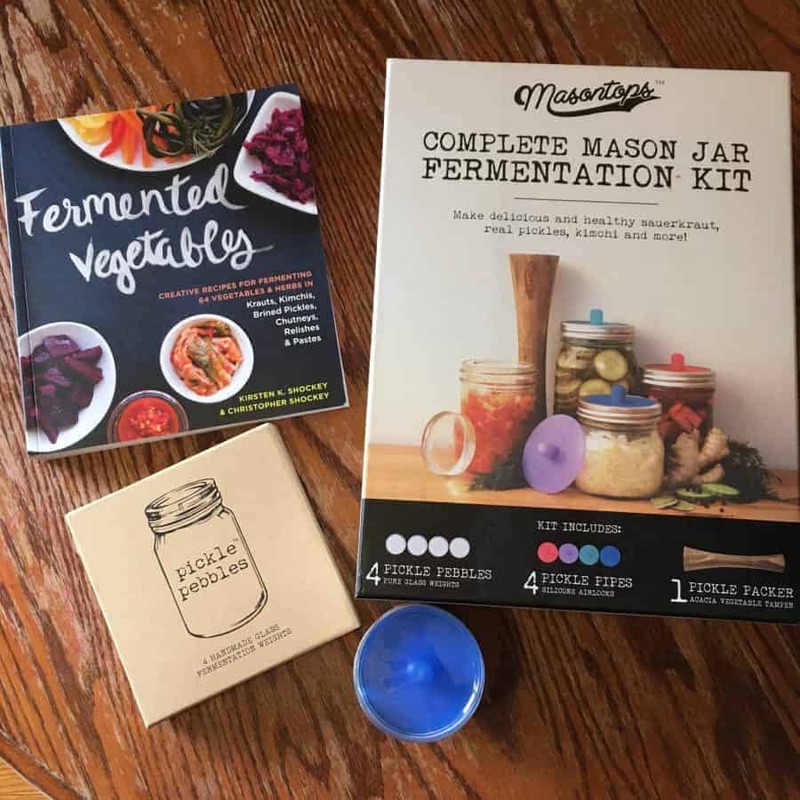 So far with our fermentation, we’ve tried using mason jars filled with water for the weight (you have to keep your veggies submerged in the brine) but I was always concerned about the air exposure. After a few concerns about not having an anaerobic environment during the fermentation, we decided to invest in some airlocks for our mason jars. After reading this super informative article that reviewed many of them we went with MasonTops. I’m so glad we did! I love the small glass weights (called pickle pebbles) and easy to use (and clean!) lids called pickle pipes. We bought the MasonTops kit with the wide-mouth lids and then picked up some regular pickle pebbles and pickle pipe lids too. I also picked up some plastic storage caps for our mason jars for after the fermentation was done. I have to say I definitely prefer the wide mouth over the regular, far better size for pushing the veggies down into the brine. I’m sure readers will have their own preferred methods or airlocks for fermentation (please share in the comments! I’d love to hear). 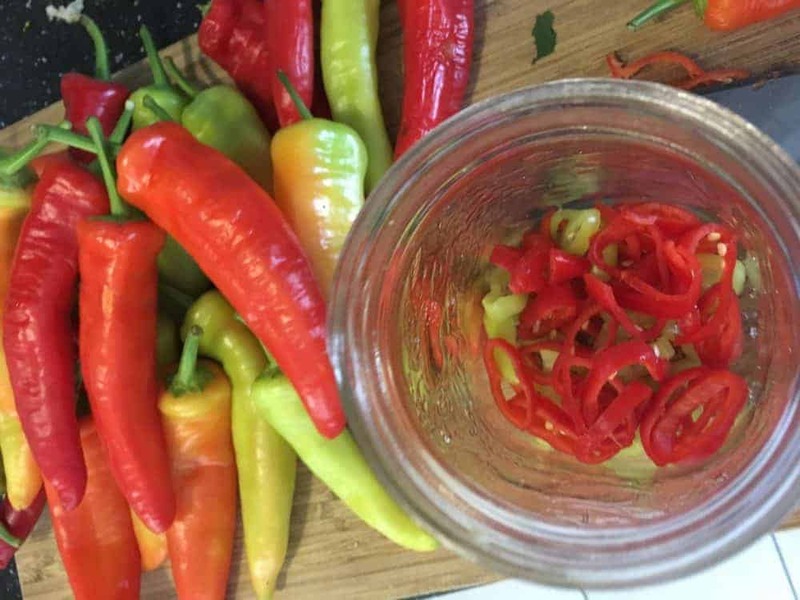 Because we were using our homegrown heirloom pepper harvest (we grew ‘Hungarian Hot Wax’ and it was a prolific plant considering our Canadian zone 5 shorter growing season) I’m not sure how many lbs we used for the 1 Quart/1L that we made. 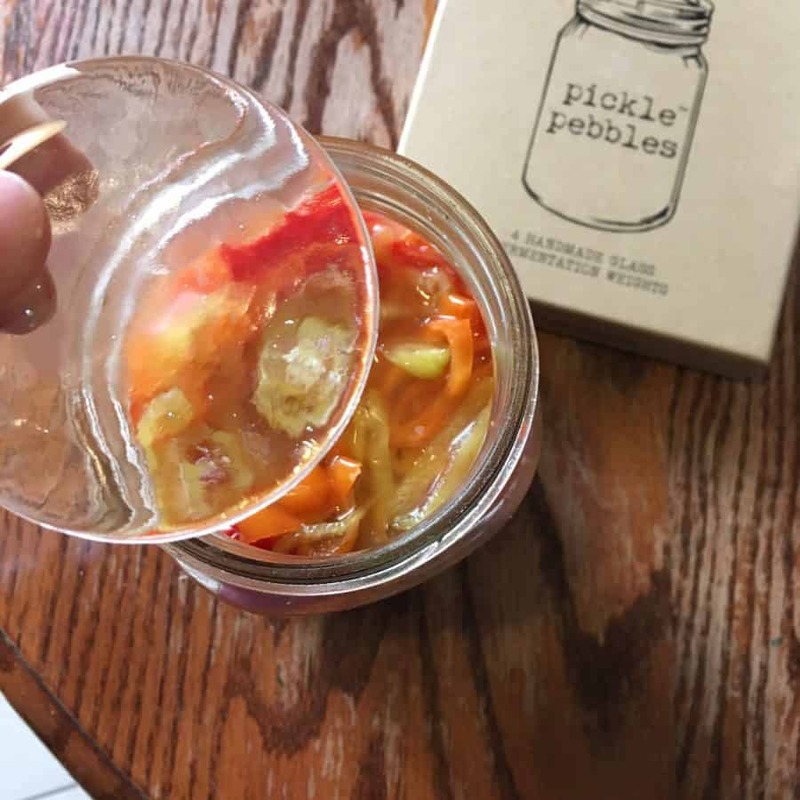 The great thing about fermenting instead of canning is that it’s flexible, you just need enough brine for the peppers to be submerged. Are you ready for this super easy recipe? Make sure you use gloves! Cut off the tops and core out the inside and the seeds (I used a small spoon). 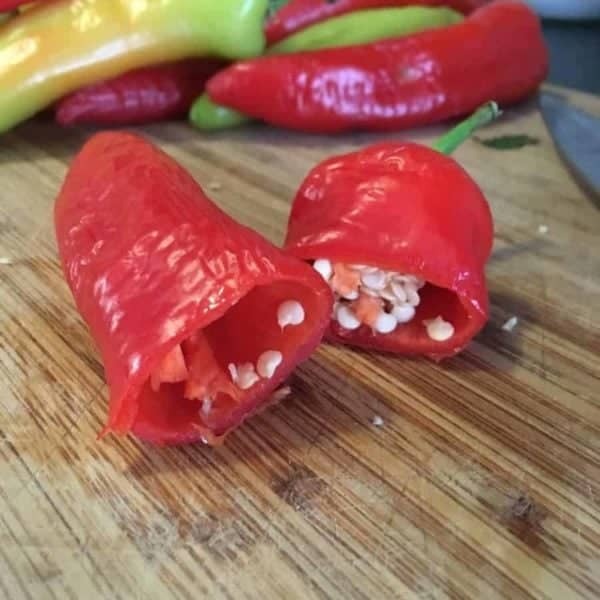 You can leave some of the seeds but they’ll be super spicy. We had a nice mix of banana peppers that were green, orange and red, the latter being the hottest and most ripe. 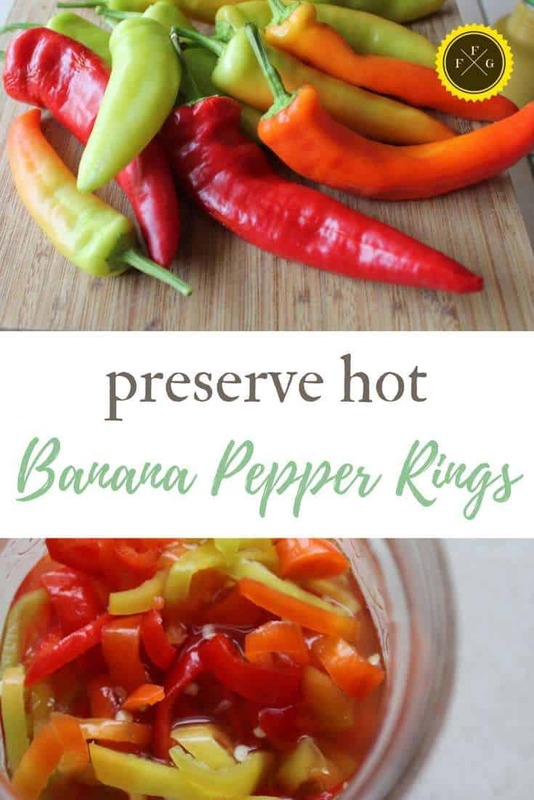 Thinly slice peppers into rings. 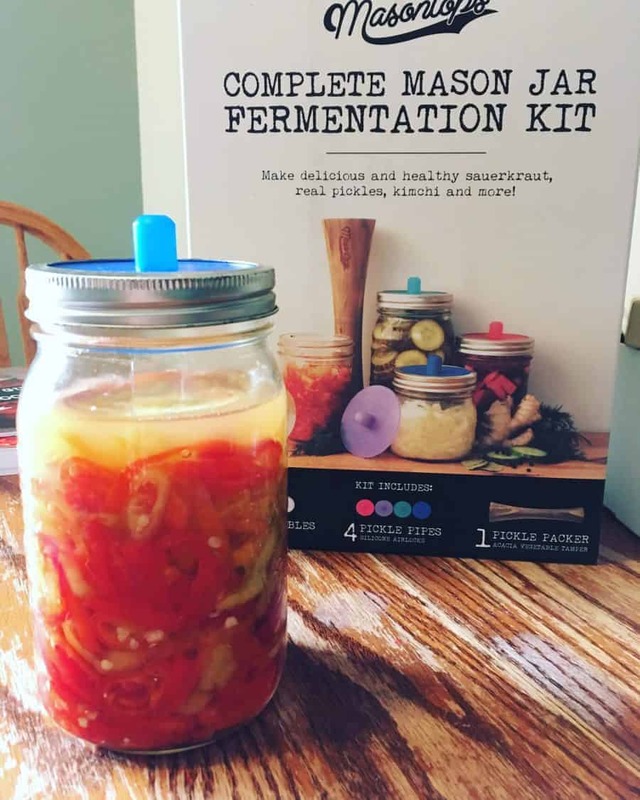 Place the peppers in a clean mason jar (pay attention whether you’re using wide-mouth or regular jars so your weights & airlocks match). Screw a lid or airlock onto the filled jar, and set it in a cool place away from drafts and direct sunlight. Burp the jar once a day for the first week, once every other day for the second week, then once at the end of the third week. 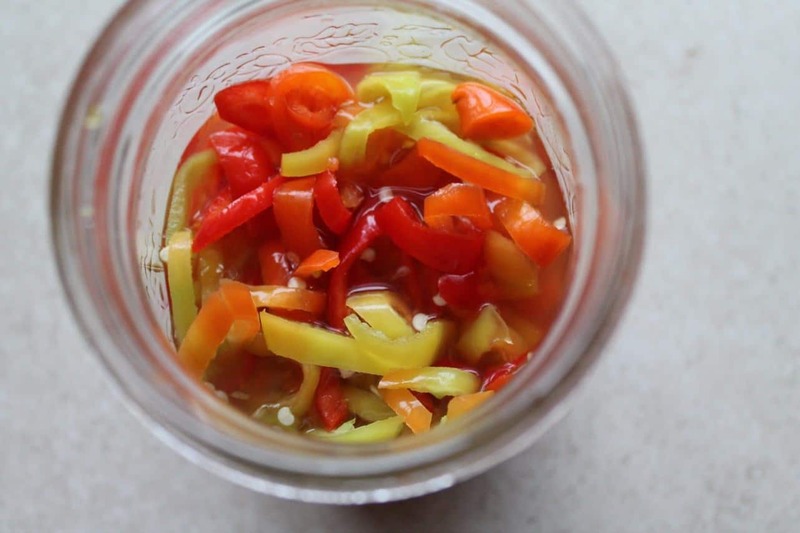 Once the peppers have reached your preferred level of fermentation, screw the lids on tightly and place the jars into a root cellar or refrigerator until you are ready to use them. Watch for kahm yeast. Ours did develop this during the fermentation process. You can learn more about that yeast here. Although it does look weird, you can scoop it out before refrigerating. 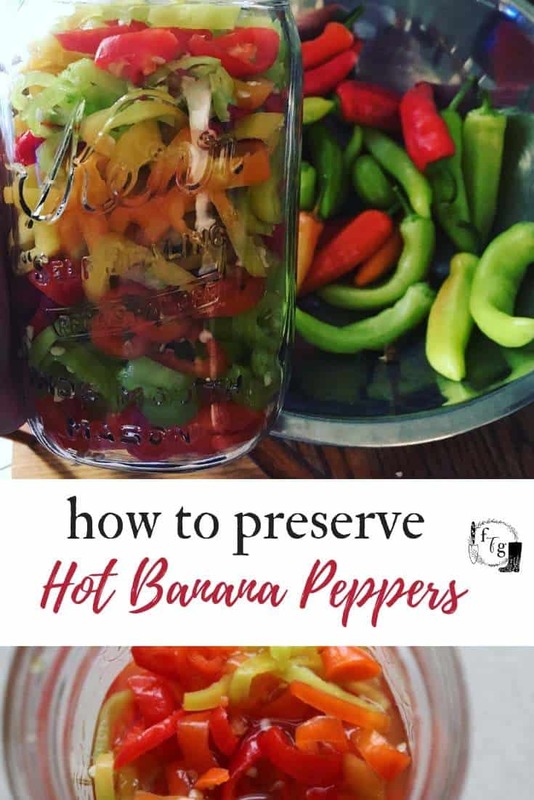 These preserved hot banana peppers were so good we ran out within a couple of months. They were a favorite to top our poached organic backyard eggs! I have some other hot peppers that I’ll be trying lacto-fermented hot sauce soon!